RadioShack, 716 Church St. The Evanston location will be closing soon amid financial struggles for the national electronics retailer. RadioShack, 716 Church St., will soon close its downtown Evanston store, after a banner in the window announced the news last week. The closing comes as the Fort Worth, Texas-based electronics retailer shutters hundreds of stores nationwide after filing for Chapter 11 bankruptcy protection in March. RadioShack also filed for bankruptcy in 2015. Management for the Evanston location did not respond to requests for comment. Dene Rogers, president and CEO of RadioShack, said in a March news release the company had made progress since its 2015 bankruptcy filing in “stabilizing operations and achieving profitability in the retail business,” but that progress was not enough. According to the news release, RadioShack will close approximately 200 stores and evaluate its options on the remaining 1,300 stores located throughout the country. Jim Nash, president of Farnsworth-Hill Inc., a real estate firm that manages the 716 Church St. property, said in an email that the store has anchored the southeast corner of Sherman Avenue and Church Street for more than 26 years. Nash said he heard about the closing last Tuesday after a “Store Closing” banner was raised outside of the store. 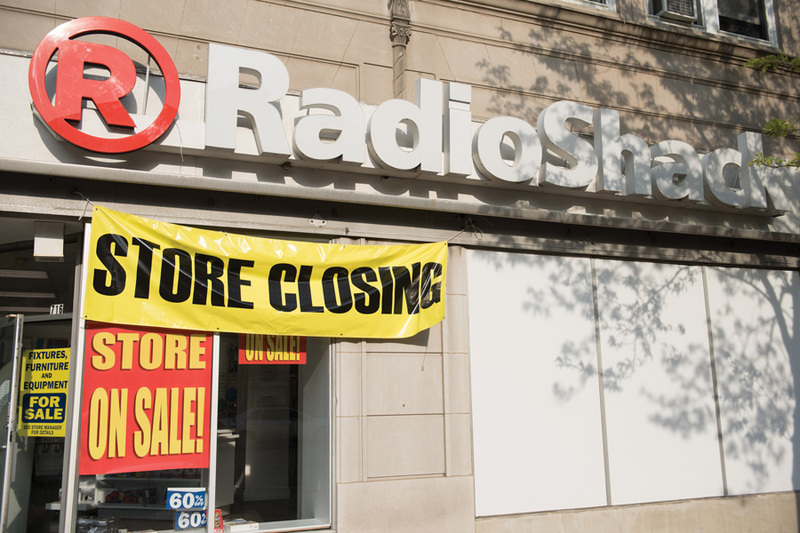 Annie Coakley, executive director of Downtown Evanston, said she was not surprised to hear about RadioShack closing, as news of the national retailer’s financial struggles has been public for some time. Coakley said she thinks there will be plenty of interest in the property, as the corner of Sherman Avenue and Church Street is a busy spot in the city’s downtown area. Nash said his firm has already received offers for the property and is currently reviewing its options.